Big Jay plays Kanye West as the Duke Blue Devil plays Taylor Swift, interrupting his 2015 NCAA Championship speech to commend Bill Self's tournament record. 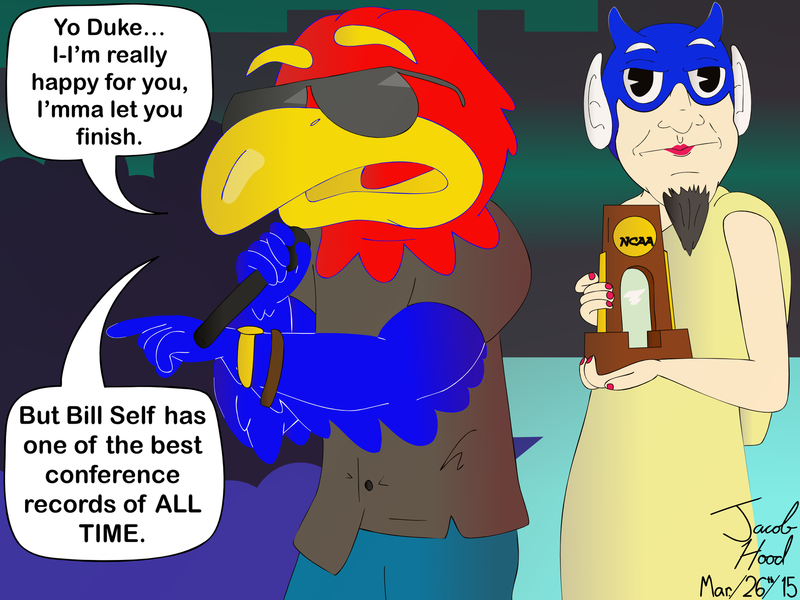 Just as a disclaimer, this comic is supposed to be self-deprecating (pun) and in no way disrespectful towards Duke. A lot of people didn't get that. A Jacob Hood comic/Kansan cartoon.